Thanksgiving came and went this weekend, and we all magically got through it. Our first holiday without her, and there were moments that were just fine, and moments that were awful and we missed mum so much our hearts were fit to break. I’m finding this grief like that. Everything will be completely okay or completely horrible, and then something swings it the other way, and there’s no predicting what it will be. I’ll be standing there, and I’ll see Elliot learning to sit, and think my Mum would love that was happening and then cry for her so desperately, or realize my mum would like something else and then laugh out loud thinking of how she’d enjoy it. Do you know, that in as much as my mother was a completely reasonable person and frighteningly bright, for some insane reason, she would never, ever put out more than a single can of corn for 14 people at a family diner. A few years ago I told her that it was time for the unreasonable and inexplicable corn rationing to stop. Perhaps when we were little, a single can cut it -but now we’re all grown and she has grandchildren and I pointed out that corn is cheap and Erin really likes it and that Erin could eat practically a can herself, and that the single can system was being mocked pretty openly. “Loosen up mum, buy more corn” I told her, and she did. Mum very reluctantly bought two cans, doubling the number of kernels each person could have to a whopping nine or so, and nothing on this earth would convince her to so much as consider a three can solution. Things were already pretty out of control, to her way of thinking. Three can’s would have been MADNESS. When I arrived at Erin’s on Sunday, she hustled me into the kitchen, lifted the lid off a very large pot, and proudly showed me a veritable vat of corn. “Holy Cats” I breathed, rather awestruck. “Eight cans” she said, and her face shone. “Mum’s gone. We can stop the madness now. Everyone can have all the corn they want.” At the end of the night (and despite having 16 people for dinner) the leftover were corn, corn, some corn and about three more or less incinerated Brussels sprouts. *Truly, I’ve been the model of restraint, because I have not emailed my sister 47 recipes that use corn, or started a pinterest board called “Too much corn” and sent her a link, and neither have I suggested several craft projects using laminated or dehydrated leftover corn – although really… That’s what mum would have done. I’m glad your family had a joyful Thanksgiving. My family is considerably larger than yours, but we never have left over corn. Ever. “Pools of sorrow waves of joy” is how I feel about grief. I love the corn story! At some point the smiles will happen more than the tears. Oooh, I think that saying….it’s so true and real. So very glad that you had a good Thanksgiving and were all together to laugh and cry and just be together missing your mother. And … I think she was there, laughing with you. Hilarious. Laugh-out-loud. Love the stories of the quirkiness that makes us all so individual in this project called Life. Over the years I have learned that grief is like surfing — moments of deep despair as you wipe out, moments of exhilaration as you forget the loss for that instant but most of the time just calm, waiting for the next wave. So much love in that corn! The usual portion is a standard can for every 3-4 people, which would be about 1/4-1/3 cup each. And since corn is both quick to prepare and easy to refrigerate and reheat for leftovers, you should be able to find your family’s proper ratio pretty easily. Though I know it’s still really hard for all of you, it’s good to hear that your family is both moving on from her quirky tradition, and using it as a fond memory. It’s tricky, this transition from living presence to memory. But your mum built a strong, resilient family; you all are her legacy. And she continues to exist at some level through all of you. I hope that you can draw comfort, even joy, from that. I foresee a pair of corn-themed socks for Erin this Christmas, either colour related or stitch pattern. And, of course, a tiny can of corn in her Christmas stocking…. No, no, the industrial size can, properly gift wrapped in a large box with a very large bow. I love all these great Christmas ideas! Ahem, well, there’s actually a knitting pattern called Ears of Corn and I don’t think it’s complicated. Unfortunately it’s not especially pretty but it would probably be stunning on socks, now that I think about it. How about these for Erin? Corn on the cob socks. Absolutely perfect. Erin’s corn will be another legend in your family. I’ve been thinking this for a while as I watch your Instagram posts but how about doing a cookbook? I looked at that sage, rosemary, chestnut, mushroom montage and thought I want some of whatever that is going to be. And thank you for your corn story. When I read something I seldom laugh out loud but that one did it. Wonderfully funny and delightfully insane. Corn kernels might make good gingerbread house decorations. I’m thinking some hash might be in order. Or some corn salsa. Creamed Corn. Fritters. Chowder. Cornbread with actual corn in it. Corn fritters with maple syrup are fantastic! Right now my grandson is a big fan of cornbread carrot cheddar waffles (he won’t eat veggies plain). I say substitute corn kernels for the carrots and waffle away. They’re even good plain. Oh! Now that sounds tasty! Oh, put a link to THAT recipe up here!! Or just added to any sort of soup–adds nice colour and some sweetness, it’s yummy! We freeze our extra corn on the cob (cut off the cob) to use in soup–I even buy an extra ear on purpose…mmmm…. Best Thanksgiving story ever! Drowning your sorrows in corn already! Sorry about your mum though, it’s so hard when you’re as close as your family seems to be. Thanks for sharing the corn story. It’s perfect, and you’ve started a new tradition which honours your mom. Happy belated Thanksgiving, and continued thoughts and prayers to you and your family as you continue to miss your mother. The first American Thanksgiving after Mom died, we forgot to defrost the turkey. Although we helped with the sides and mashing the potatoes, we never paid attention to WHEN the turkey needed to be put out to thaw. So we had frozen lasagna and my youngest sister had a special carry out Thanksgiving dinner from the local diner. ‘Do Over’ Thanksgiving was the next day. I’m sure Mom was laughing to herself watching us all realize turkeys don’t thaw out in a few hours! For a few years after that, my dad would send us all emails the morning before Thanksgiving reminding us to put the turkey in the fridge to thaw. Isn’t that how it goes? But at least you had enough corn this year! Thankful for this bittersweet memory for your family. You could try knitting with corn silk (after plying it, of course). So sorry for the pain of your mom’s passing. Always will be. Take care. I know what Erin’s getting for Halloween! Candy corn. She won’t even have to go Trick or Treating. Just bring the large, institutional-sized bag over to her house. Seriously, it is good to hear that you got through Thanksgiving fairly well. Hang in there. or use the corn on the cob sock pattern and make it up as a hat. We didn’t have our usual meeting with the kids at Balls Falls this year, because of my stupid broken let. :/ Your corn story has made me day today! I would love to have known your mum. That’s us as well — my mom was crazy for my cranberry sauce (whole-berry with lime and orange). She kept pushing me to make more and more until finally I drew the line at 8 bags of cranberries…for 20 people. She never could get enough, and now it’s a running joke. So Steph, you’re absolutely not alone. Very well, since you asked so nicely. Zest and juice orange and lime. Combine juices to equal 1 cup. Put all ingredients into large deep pot (mixture will double or even triple in volume). Bring to a boil, stirring often. Boil 5 minutes, then simmer 30 minutes or until berries burst and sauce thickens. Cool completely. Can be frozen as well as scaled up. Oh man, THAT stuff goes GREAT on waffles, esp if you have vanilla custard sauce to spread on first!! (I married a Mennonite, hence the custard, but the cran/orange was my addition…mmmm…like a very grown-up Cremesicle, I guess! These moments will continue to swing back and forth madly, without rhyme or reason. It has been slightly over a year, and I can bawl out of nowhere, I can think that I must tell her something… and so forth. The intervals will become longer, the love with stay and her light will shine on in you and your children and grandchildren. Throughout this Heartbreak, there is Beauty found in knowing that She lives on through you, and everyone who Loves her. Sending you all much Peace and the Blessing of Good Memories during this most Difficult first Year. Love it. Corn socks, for sure. And maybe a corn hat. There has to be one somewhere. After all, there are cheesehead hats. Happy Thanksgiving. Love and hugs to you and yours. Congratulations on making it through the first holiday! From experience I can say it does get easier over the years – different. But my parents have been gone 37 and 11 years and there are still times to this day that I am brought to my knees over something that I miss about them or that I would love to share. All makes for one very good, corny family in-joke. Love it. Your post made me cry. My momma passed in 2001 from bone marrow cancer and as an added bonus, breast cancer. She made the most awesome lasagna for family gatherings. It didn’t matter if it was a holiday or just a Saturday when all of her blended family of 11 kids, spouses, significant others, and kids popped in during the day to visit. I have tried for years to make that lasagna. I asked her for the recipe and she said just follow the directions on the jar of sauce. Not even close! I think it’s a Momma thing. For you it will be corn. It will forever be lasagna for me. I wish you comfort and peace. Take care of you. You could say “Corny”, it sounds both better and funnier! My Daddy died 7 months ago and he loved those awful (to us) circus peanut candies. I bought a package in his honor, one I placed in a dish that sits on my dresser next to a tiny wood box of his ashes and others I placed on the graves of my grandparents where some of this ashes were placed at his memorial service. I touch that hard as a rock circus peanut on my dresser, wondering when I’ll be able to do something with it. One can of black beans, one plastic tub of purchased salsa, one cans worth of corn kernels and a massive amount of chopped cilantro. Best salsa ever. Happy belated Thanksgiving to your family! May the joyful days outnumber the sad ones. My vote is for corn fritters. And the corn on the cob socks someone linked to above for Erin’s Christmas gift. A recipe I’ve been devouring this summer is Corn and Basil orzotto from Kitchn. It’s like a risotto but made with orzo pasta instead and a lot easier to cook up as well. Bittersweet and a budding family legend, for sure! I laughed at this story, and I hope you did, too. I’m sure every holiday and family gathering will be hard for some time, but I hope you can find the moments to remember and laugh as well. Freeze the corn and throw in a scoop when you make soup all winter long. Well, no, your winter are pretty long. But, until it’s gone. Thought about you when my calendar showed me Thanksgiving (Canada) last week. I’m glad you made it through. I’m glad you and your family had a good Thanksgivin. The Pinterest board idea made me laugh out loud at work. People looked…it was almost awkward except it was funny (to me). Next year, try again! “A ham and two people equals eternity,” from the writers of The Joy of Cooking. Huh, We have 8, and even a large ham only generates a couple of days of leftovers. But we all really like ham. Now we all call each other. “I’m bringing dessert and potatoes.” “I’m bringing sweet potatoes and green bean casserole.” It works better that way. And glad you had a good Thanksgiving and were able to laugh. A very happy Thanksgiving to you and your blessed family. May the warm memories of your mum (and all that corn) help you get through the emptiness that she has left. What a lovely story about going on with such warm memories of your Mother. Our Mother died on the first day of Spring so we had, by our November Thanksgiving, thought we’d be able to make it through. As it happened, none of us could bear to fix the turkey (Mom’s annual contribution) so we decided that she’d haunt us if we weren’t together for the occasion, but we had macaroni and cheese instead with all the usual trimmings. Only that first Thanksgiving. This is kind of like my family’s cool whip story. My grandma always had cool whip, never real whipped cream, to top her holiday pies. Even better, she kept it in the freezer, and would never take it out early to thaw, no matter how much we begged her. After she died, we realized we could finally have properly thawed cool whip again. 16 years later, my mom and I still ask each other every holiday if we remembered to take the cool whip out of the freezer. Must be the new Canadian Thanksgiving tradition. Spent the holiday doing the same thing, laughing, crying, more laughing, more crying. Now, you have to add the ultimate: cross the border into US and tell the guard you were at your deceased mother’s house. You could smuggle just about anything! The long era of corn rationing continues to have its impact. Everyone was afraid to take too much. Try a corn pudding casserole. Even the leftovers are fabulous. 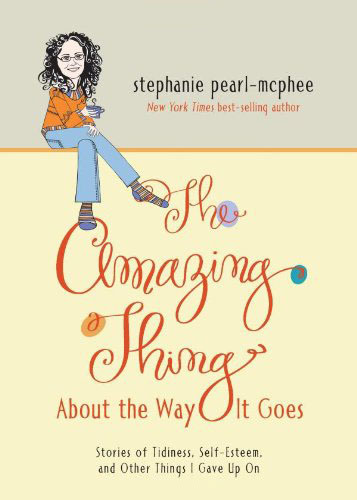 Stephanie, you are such a fantastic writer. Admit it, you mum was right on the corn all along. Two cans & no leftovers: she was a smart cookie. I think the magic number is is probably 3-5 cans. Or you could start a new tradition and make boiled corn on the cob???? Sorry is that blasphemous? My mom also died within the last month. My niece, as we were leaving the funeral, said, “I’m fine…until I’m not.” That describes grief perfectly for me. You never know what will trigger the sorrow, but suddenly, it’s there. After my dad died years ago, the preparations for those first holidays without him were tough. But the feast itself? Absolutely wonderful, because we all were able to laugh, as we shared memories and stories about him. I’m confident that my family will be able to get through these first holidays without Mom in the same manner, as I hope your family will, too. My mom had “a thing” about how the dishwasher HAD TO BE loaded. Everything in a certain way, all the silverware sorted and so forth. We’ tease her unmercifully after every holiday dinner. Then our mom died and my brothers and I would load the dishwasher after holiday meals and put plates on the upper rack (HORROR) and mix the knives and spoons in the same bin. We’d all laugh uproariously at our rebellion, and then cry, standing around the dishwasher, wishing she were with us. Laughing, laughing some food items that never appear at family meal again. Baked heart! Understand the tears too. When ever I get out the coin purse to use change, now it has been almost 17 years, smiling at a vender and they have no idea why. Keep on smiling and crying as you need to! This story brought a smile to my face. Oh, how I miss my grandmother! I love that whole story… hehe just makes me smile. Me too! And then there’s cornucopia! 2 cans for Erin all by herself. Segregate it and make sure she knows her share if safe. 3 cans of corn for the rest of you. I think that should do it. Mom is watching after all. She is still in charge…..
You mother would have wanted you to laugh. Okay, so this took out the “37 ways to use left over corn” – google it and you´ll find another. I’m glad you were all able to find something funny. It really helps the healing. And who wouldn’t laugh about that much leftover corn. Next year 4 cans will likely do the trick. For this year’s leftovers – you are Canadian – make yourselves some Three Sisters Soup. 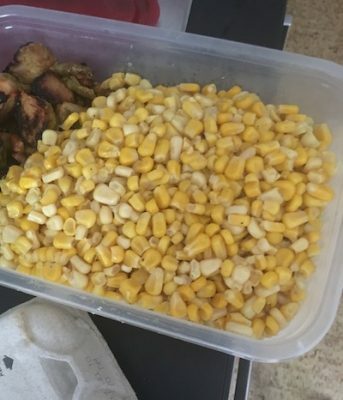 (Freeze the corn till you’re ready to use. Blessings be on you all as you navigate new traditions. Oh, I laughed at the corn. Why did our mothers and grandmothers have their funny quirks? We will never know, will we? My Grandmother always made a delicious turkey broth after Thanksgiving. But it was a clear broth, NOTHING in it. No meat, no veggies, barley, rice, potatoes, pasta, nothing that one MIGHT find in soup. And she made about 500 gallons of it from one turkey carcass. It was good for a while, but it got deadly boring after a week of nothing else for lunch. She lived to be 103, so it must have had something good in it. Funny thing, I can’t make it, it never comes out as tasty as hers did. She died on Thanksgiving in 2012, and so that soup will always be linked to losing her, and make me sad. I think our grief comes and goes, and sometimes we can handle it, and sometimes we can’t. I hope for you, the handling it times come more often than the not handling it times. They say that you have to get through the first of everything then it gets easier. I suppose that is true about some things, but I suspect corn may always do you in. Had I known that your dear Mum was rationing corn for your Thanksgiving feasts, I would have sent you all of mine. Can’t stand the stuff. I realize that’s totally un-American, especially since there is a corn field 1.5 blocks from my front door. But there you have it. Thanks for the chuckle. And to quote the movie line, “Laughter through tears is my favorite emotion.” I wish you and your family more laughter as the days go by. I am in awe of your restraint. Oh, this is very beautiful, and I’m SO glad. Every kernel is love and your Mum laughing at you all from the beyond. Yes! Thanksgiving is truly my favorite holiday because of the gratitude and the family food traditions that connect us backwards and forwards through generations of recipes and memories of meals made with love. I would say that the average of two and eight is five. Try five cans at Christmas and then move up or down depending on whether it all went or not. Estimate how many cans of corn were left over. and live in – Yorkshire!). We still try to make her trifle each year (to the weird recipe she had from some Women’s Own or Good Housekeeping magazine in the seventies) but we’ve not perfected it just yet. Still, I think she’d approve of our efforts! A couple years ago I lost my wonderful husband of 34 years. I have been reliving these moments..like picking up that phone the first time…and shedding a few tears with you. Please believe me the corn story sounds like a turning point. Not an instant one but maybe the first time you could remember one of Mum’s little crazies and sincerely laugh about it. For me it was not balancing the checkbook to the penny. Be kind to yourself through all these holidays. You are very special to your own family and your knitting family. I’ll never look at canned corn the same way again! The one thing that my brother and I best remember of my Mum is her marmalade. Of course, there is no recipe, so last year I tackled it and came oh so close according to my brother. Given the state of Florida after the hurricanes, not sure I can get Seville oranges this year, but I want to keep trying until I get it right. It’s fond history. I just have to add this one thing….candy corn…with apologies. I ate the last piece of fruitcake my mom made earlier this summer. It was time. I mean….even fruitcake has an eat-by date, right? I made a cup of tea, used one of her teacups, and savored every bite. Then I looked over her recipe once again and wondered where in the world I was ever going to find the processed foods she used (a particular brand of boxed mix, a particular brand of mincemeat…you know…healthy stuff) to make this fruitcake of my childhood. Then I decided that my fruit cake will be MINE, inspired by her. Full of love and delicious (albeit slightly more natural and healthy) things. And I know she would approve. One more thing….I cannot think of a better use for some of that corn than corn pancakes served with lots of butter and maple syrup with sausages on the side. Glad you got through Thanksgiving. I knew you would. I was thinking about you over the holiday. I am glad you were hit by some of the waves of joy. My dad died over 15 years ago at a young age of 54 and I still find myself navigating between sorrow and joy. The sorrow is much less frequent sneaks up on me at the most awkward times but it is offset by the laughter that over takes me and my siblings when we have our “corn” moments. And there is the strange new feeling of relief when my sister and I think of the heartbreak he has been spared by missing this particular chapter in American history. Fifteen years later I can say that he is still an active voice in my head that helps with my daily decisions and shares in my happiness and moments of defeat. You won’t lose that. This made me laugh out loud. I suspect that this story will have legs. Although maybe not as much as Joe and the truck/ice/garage debacle. OH MY GOSH…still laughing about that one!!!! Would you say that was a corn-forward menu? Although I thought corn had been moved to the grain category, while beans are now vegetables…hard to keep up. When I have leftovers like that, I generally freeze it in portions and throw it in soup later. I have a dynamite taco soup recipe that needs corn if you find you need it later. After my dad passed, I found my grief to be the same way. I would be fine, then I would be sobbing because I passed a White Castle while driving on the highway and remembered how dad loved his Wet Castles. The deeply sad parts get further apart, it’s been 5 years since dad passed, but I suspect they never truly go away. Kind of like that corn you got there. My mother couldn’t have pudding without cream and would often be heard to say after a meal “Oh I think there’s some cream that just needs finishing up” in a slightly coy way that was meant to sound as the the thought had just occurred to her. A couple of months after she died, I was found weeping in the supermarket aisle in front of the cream, but now it is something that we all joke about. There’s no such thing as leftover corn after the following day. It magically disappears. Just love this story. I’ve read it three times now and I’m still laughing. Totally this. Only mine is my dad, and involves duct tape. Also, it doesn’t really go away, it just gets easier to laugh about. Or new traditions evolve, like maybe you just only set the table with one can of corn, and then HILARIOUSLY you keep bringing out more! That’s my family’s approach, but it evolves with time. Allow those swings, don’t fight them, everything is exactly how it needs to be. ❤ Namaste. This great holiday corn story puts me in mind of my mom-in-law who passed back in the nineties. She would always always put out a bowl of red and a bowl of green jello at every Thanksgiving and Christmas family gathering. Just plain – no extravagant 1950s jello recipes with stuff in them. Nobody ever touched them- well, maybe a little bite to be polite. They languished untouched with the leftovers for days. After she left us, jello popped up in spades at every family event and was sometimes even eaten. These are the stories that get you buy the tough times. I wish you the best memories. We are only three now in our family, but even at that, there is rarely leftover corn. There was some this year because one son was sick and barely did more than sit at the table, then went to lie down right after dinner. However, any leftover anything has no chance of being leftover for long and tonight I’m going to be using up the last of the turkey in a turkey curry which will also include the last of the sweet potatoes. The corn didn’t even survive into the second day and I had about six kernels out of the whole lot. You have to be fast, at my house! And yeah, grief can/will blindside you, but the memories definitely get sweeter and less painful as time goes on. I think your Mum would be tickled pink at the idea of such a bounty of corn. That sure is a lot! May I suggest to Erin corn fritters? They were my grandma’s favorite and best way to use her leftover corn. The kitty litter I use is made out of corn. Well, I’m not the one who actually uses it–my cat, Crosby, does. Does Erin have cats? I love that you shared that humorous little story. It’s important we honor the memory of our loved ones with tears as well as laughter. My dear sister has been gone 37 years and I can still be hit with a wave of grief that makes me cry. She’s in my heart always just like your mum is in yours. That’s the way it should be. Leftover dehydrated corn. Get an old brown suit from the thrift store, or brown sweats, and sew that leftover dehydrated corn on. BAM. You’re a corn poopie for halloween. From a roommate of mine in college. I still laugh out loud when I think of that costume!! The corn kept falling off! There were little piles of it all over the house! SO glad to hear your family enjoyed Thanksgiving. The first time through holidays is the worst. Our first Thanksgiving without mum, we threatened to barge in on the current owners and make Thanksgiving dinner as we had for mum for years. I don’t think they would have minded. They were expecting their second child around that time.